1) You have German, probably aristocratic ancestors or show weird sense of humour when it comes down to choose an artist’s name. 2) You have to play in a band. Even though it might be a bit disappointing, Klaus von Barrel’s real name, according to Facebook, is Nicholas Wood, but who knows if this ain’t another alias? Anyway, at least Klaus von Barrel actually plays in a band, which is THE KVB. Despite the fact that the band’s name is simply composed of von Barrel’s initials, THE KVB isn’t a one man show – von Barrel is accompanied by Kat Day. With their newest record Immaterial Visions THE KVB deliver eight tracks of wonderfully gloomy Post-Punk, flourishing somewhere between a Shoe-gazer’s shyness and danceable Dark Wave. THE KVB often gets compared to Joy Division, but this comparison falls quite short. Of course it’s undeniable that the Manchester outfit around Ian Curtis left its mark in THE KVB’s music, but this band had such an enormous impact on popular culture that there’s hardly a band to find playing somewhat gritty music that is not influenced it – directly or indirectly. But it’s certainly true that THE KVB is quite dark, although the London duo doesn’t get lost in its darkness as much as other bands. Instead von Barrel and Day add a good dose urban arrogance, post-modern everything goes (or how else could one explain the cover version of the 1966 classic These Boots Are Made for Walkin’ by Nancy Sinatra on the previous full-length Always Then?) and an indifferent attitude, making Immaterial Visions almost (but only almost) unbearably cool and distant. The musical ingredients of Immaterial Visions perfectly reflect this concept. The foundation of each song is always a more or less simple drumbeat, which is stoically repeated and mostly quite danceable, too. With their stubborn straightforwardness the beats aren’t too far away from those of Kraut Rock bands like Neu! or Can, which anticipated this feature (and others) often ascribed to Post-Punk as early as in the late 60ies. From here it’s only a short way to Kraftwerk, which started as a Kraut Rock outfit, too. The pioneer of electronic music from Düsseldorf surely left its mark in THE KVB as well, and how could it not? THE KVB’s synthesizers owe a lot to those of Kraftwerk, if not directly than through 80ies Wave bands, of which probably all have been influenced by Kraftwerk’s output. The synths, in combination with the beats and the occasional appearing bass lines, give Immaterial Visions a very mechanic feeling. Due to this the record is also reminiscent of another band often linked to Düsseldorf, namely DAF. Besides the mentioned Can and Kraftwerk, DAF is probably one of Germany’s most influential musical exports and style-defining in genres like EBM and Techno. It might be a pure coincidence that there are so many traces of German bands to be found in a band led by a guy who calls himself Klaus von Barrel, but it’s remarkable for sure. 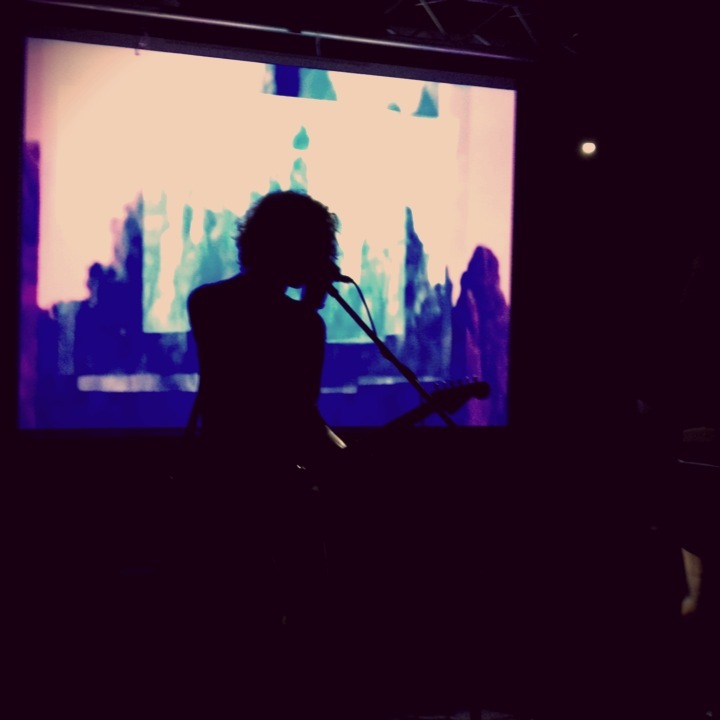 THE KVB also make use of stylistic elements that have been developed by English outfits. Usually these elements find their expression in von Barrel’s guitar playing. Most obvious is surely the extreme reverberation that almost seems to drown the chord-ridden riffs. On top of that there are huge amounts of noise and feedback constantly protruding – the influence of shoe-gazers like My Bloody Valentine or Ride (in their harsher moments) is undeniable. Sometimes riffs evocative of US-American Surf music shine through the lush walls of noise, pointing towards von Barrels involvement in the LoFi Surf Rock band Die Jungen (again: German for “the boys”) and strongly reminding of The Jesus And Mary Chain. This English band not only was a direct forerunner of Shoegaze, but also had this Californian Surf Rock vibe in some of their early recordings and even covered the Beach Boys classic Surfin’ USA. TJAMC‘s influence on THE KVB can’t be overemphasized. There are of course contemporary bands producing a somehow similar sound and atmosphere. When it comes down to the synths and drum loops one might think of Led Er Est or The Soft Moon. Taking the riffs and feedback orgies begotten by the guitar also the NY-band A Place To Bury Strangers might come to mind. The outstanding factor of THE KVB is however the perfect convergence of those two sides. Completed by a certain distant appearance, THE KVB create a very unique setting of gloomy nonchalance that’s hard to resist if you’re receptive to this type of music. 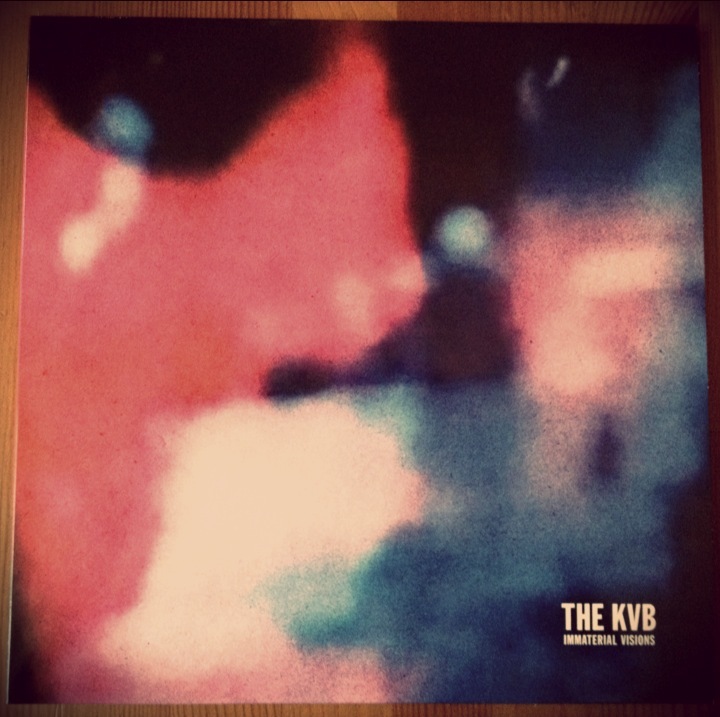 Immaterial Visions by THE KVB is available on 12” vinyl from CitiTrax.